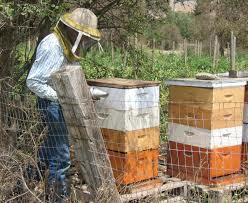 Commercially farmed bees are “hired” to pollinate almond, fruit, and other farms. 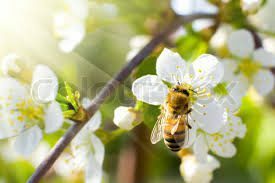 Without this pollination, there is no fruit, no nuts. This is not just about a honey shortage. 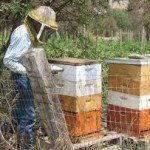 The use of pesticides, particularly neonicotinoid pesticide, is implicated in the large-scale die-off of honey bees in the United States. Be aware of what you are buying. Ask at your plant nursery what insecticides they use. Or buy organic plants at a local farmer’s market, or swap plants with other gardeners who have overgrown plants that need thinning. If you need to use pesticides in your garden, avoid these bee-killing pesticides, especially for flowering plants.